You may find that you wish to rollback to a previous revision when deploying to your server. 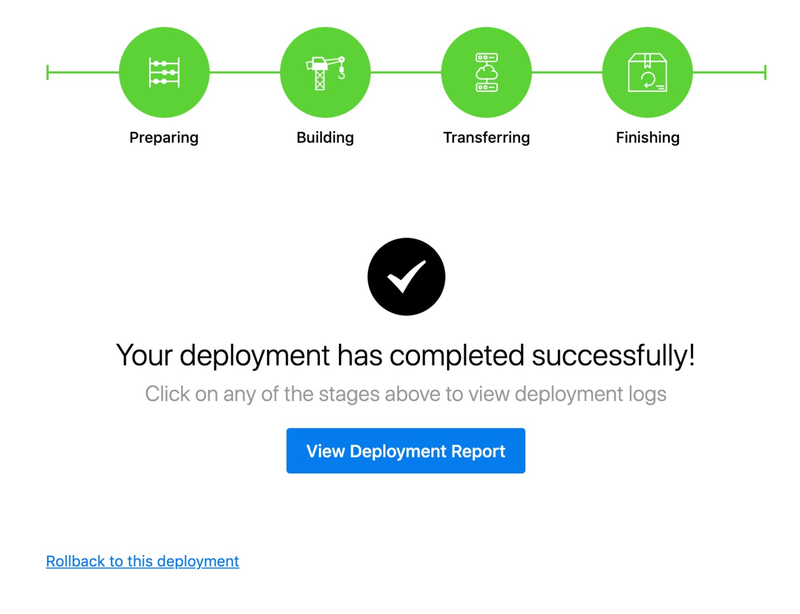 Just navigate to the deployments page with your project, then select a server by clicking its name to view a list of deployments for it. 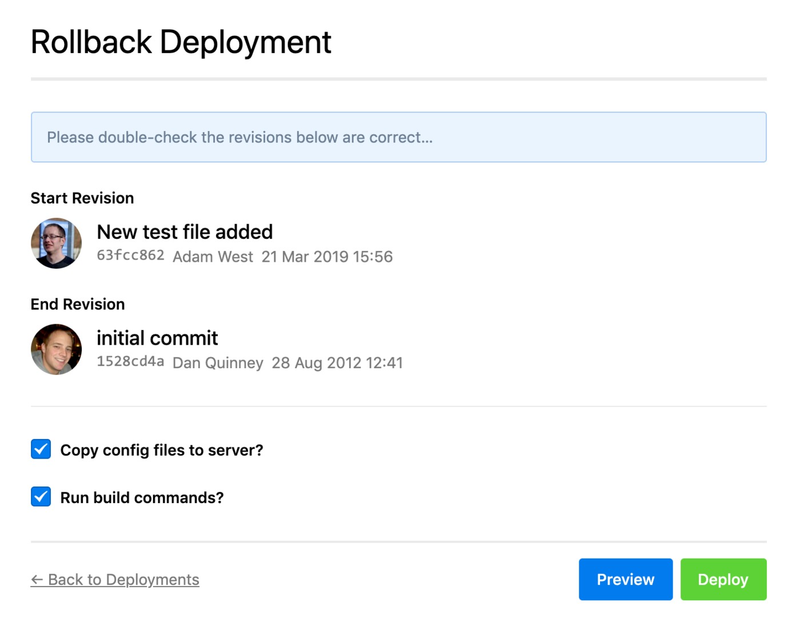 If you are happy with the information displayed, you can click Deploy to start the rollback. Alternatively if you wish to preview the rollback just click the appropriate button. When the rollback has finished, you'll find that all changes in the latest deployment are reversed. If you've added new files in that deployment they'll be removed, any deleted files will be restored, and modified files will see their previous versions uploaded.